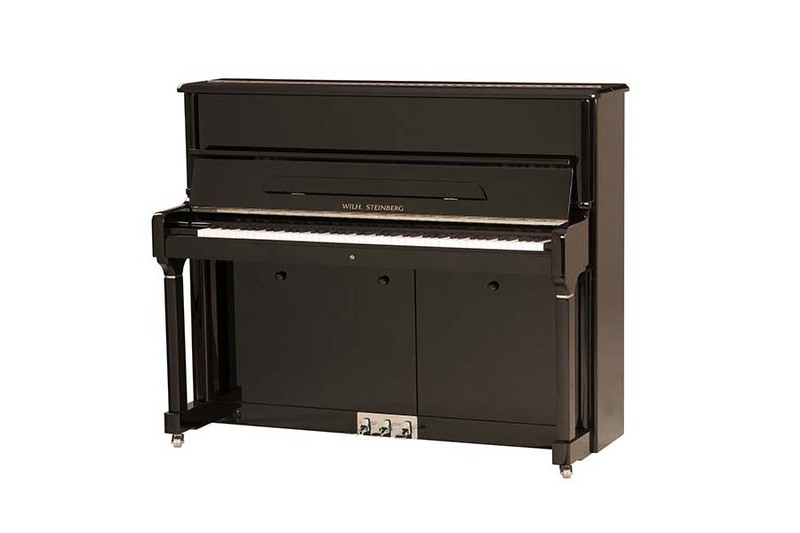 The upright and grand pianos of the Performance series are based on the German WILH.STEINBERG design, crafting techniques and technologies and manufactured under authorisation by the Yichang Jinboa Musical Instrument manufacturing co. ltd, China. Every performance series piano is delivered to the German factory where it is held in storage. Following an appropriate settling period each piano is tuned, regulated and voiced by the German master technicians in the WILH.STEINBERG factory. I can wholeheartedly recommend playing the Performance series Steinberg pianos and comparing them against other similarly priced instruments. The construction and build quality is impressive, the tonal colours exceptional and the action beautifully weighted. The German design, materials and preparation are very evident when playing these fine pianos.